Heat the oil in a pan and cook the duck breasts on both sides to taste, but ideally keeping them pink in the centre. Remove the duck from the pan and keep warm. 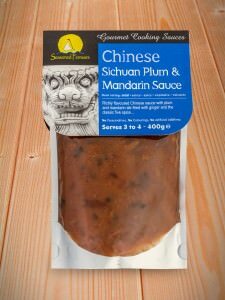 Heat the Plum & Mandarin sauce through until piping hot. 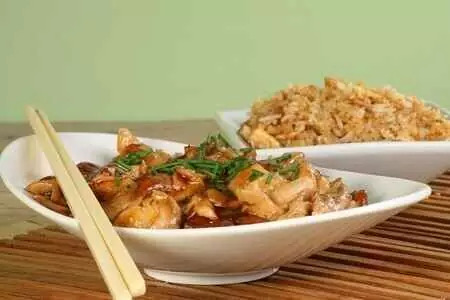 Slice the duck into 1 – 2 cm slices and place on top of noodles or rice. Pour over the sauce and serve.